Claire Connolly is a Sensitive, infected with magic when the Veil that divides humanity from the world beyond fell. Magic can easily consume and destroy a Sensitive, and if Claire's secret is discovered she'll be locked into the walled district of Devil's Isle along with every other Paranormal left in the city. Bounty hunter Liam Quinn discovered Claire's secret, but refused to turn her in. Together they saved New Orleans from the resurgence of magic that nearly destroyed it. But now a dangerous cult is on the rise, and it will take both Claire and Liam - and magical allies within Devil's Isle's towering walls - to defeat the occult threat before magic corrupts them both . . .
Chloe Neill was born in the south of the USA and currently resides in Nebraska. THE VEIL was the first book in her Devil's Isle series. 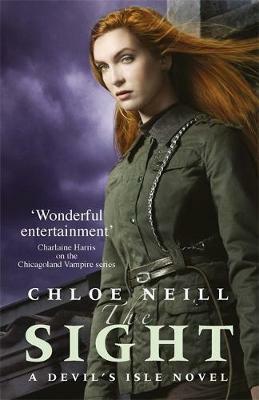 She is also the author of the Chicagoland Vampires series and the YA Dark Elite series.